Many of you interested in a new look for you tile floors at home call us with many questions. A frequent and most occurring question about this service is about the difference between tile & grout cleaning and tile floor restoration. In order to properly answer this question, we must understand the two types of tile floors that most of your have. Ceramic tile floors are probably found mostly in your homes. Ceramic tiles are durable and come in many sizes and shapes, while also having a more affordable pricing. 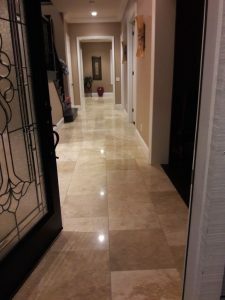 However, live stone tile like Travertine are less common due to a few factors.Travertine floor cleaning is much more expensive than ceramic tiles, while it also needs more frequent care and attention. What is a live stone floor and what does it mean? Live stones are actual rocks from nature that kept their natural feel and look, however, they are cut in exact shapes to be placed on your floor. That means, like anything else in nature they have their own character. Live stone, and especially travertine, could absorb fluids and especially chemicals, therefore, change color and shades. Also, with time they would lose shine and sometimes could even crack open and have holes. Depending on the foot traffic at your home, a periodical tile floor restoration and refinishing is a must. What we do is remove the top layer of the stone by carefully and professionally sand it down. Then, if needed we would fill in the cracks and holes. Now for the best part. 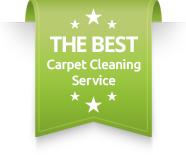 We shine the floor to your exact need and preference and give it a complete new look. For a fraction of the price of installing new floors, you can actually get a complete make over of your beautiful tile floors.For more information about tile floor restoration and refinishing please contact Dr. Carpet Irvine. Also, it is important to note that travertine floor cleaning and restoration is our expertise. Please schedule a consultation.